Armin Linke travels the world as a photographer. 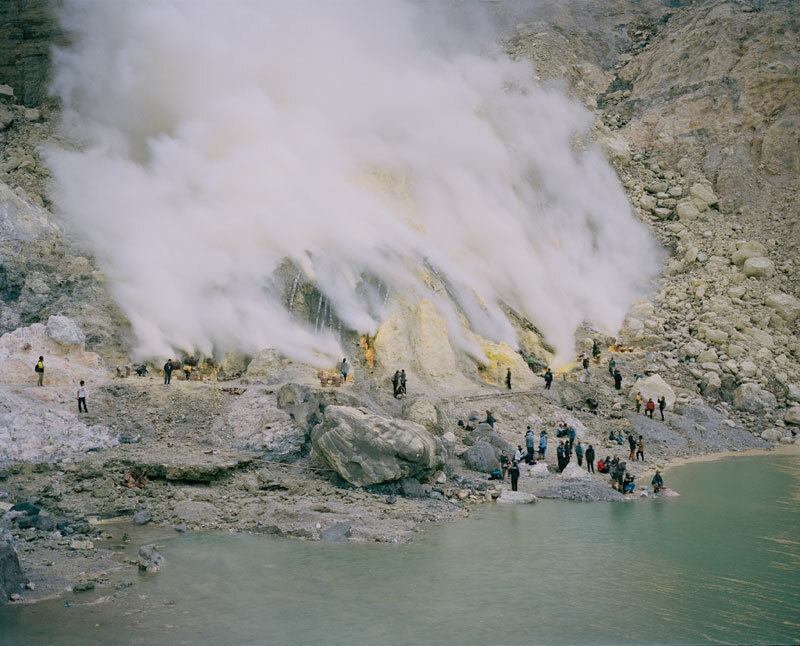 His work has thus far taken him, for example, to Indonesia, where he observed workers mining sulfur at the Kawah Ijen volcano in Biau, East Java. In Yichang (Hubei), China, he documented the massive Three Gorges dam and took pictures of the clearing of the rainforest in Indonesia. 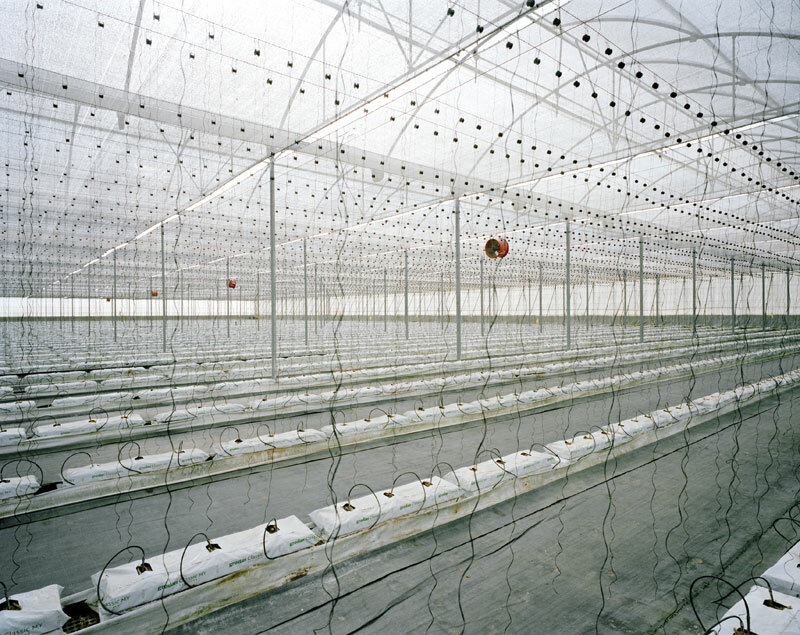 He captured the world’s largest ski lift in Tokyo, Japan, in 1998, and travelled to Spain to photograph the greenhouse of an intensive agricultural production system, in which not a single plant is visible under the coverings and equipment. These color photographs impress with their brilliance, sharpness, and composition. At the beginning, Linke often chose panorama formats and frequently shot his motifs from an elevated position. The photographs impress with the sheer size of the seemingly infinite objects. In the eighteenth century, the concept of sublimity was coined for such an overwhelming aesthetic experience of nature. 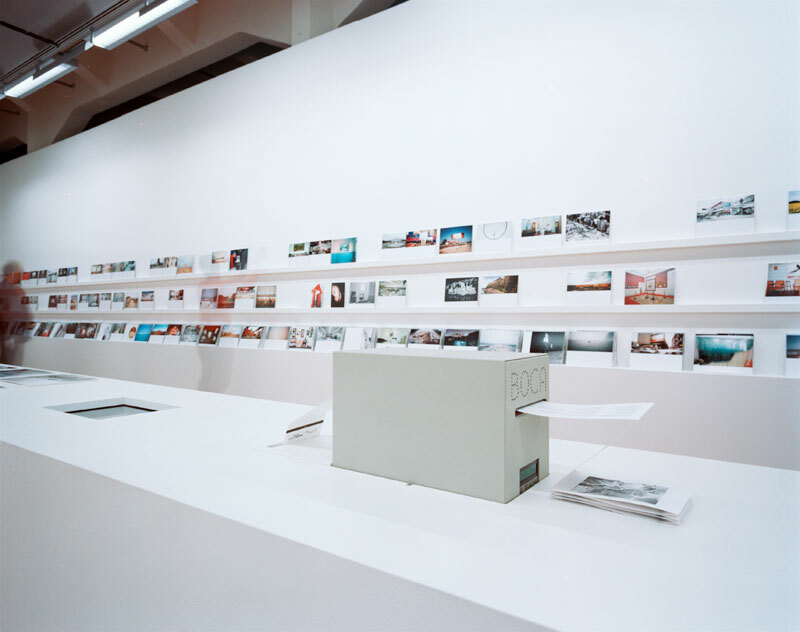 In 2003, when Linke chose a selection of 200 photographs from his already considerable archive for his publication “Transient“, he arranged them according to their aesthetic value without any further information. But from the very first glance at the published images, it becomes clear that, beyond their aesthetic effect, they also contain a complex socio-political story. They demonstrate how comprehensively humankind intervenes in nature worldwide, altering it with massive effects on ecological and economic conditions. 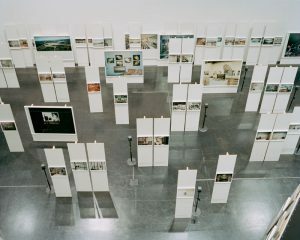 Linke’s photographs make these upheavals visible in exemplary images, the hyper-reality of which occasionally leads one to doubt mere documentation. 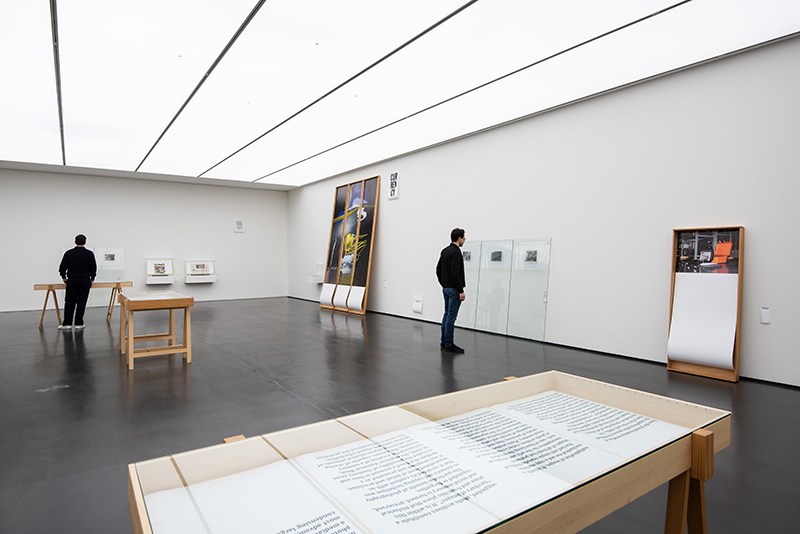 In fact, however, the artist dispenses with digital manipulation, unlike Andreas Gursky, for example, who consciously uses digital technology to create his pictures. In contrast, Linke remains a documentarist. It is often commissions that lead him to the remotest corners. 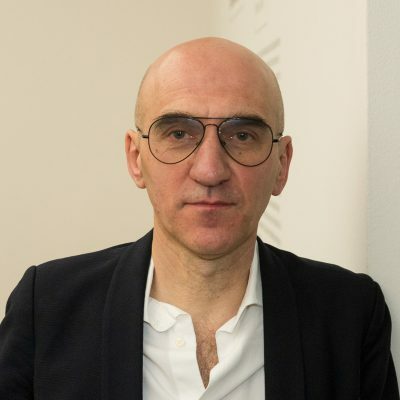 For TBA 21 (Thyssen-Bornemisza Art Contemporary) in 2017, for example, he documented the exploitation of deep-sea resources. Since only corresponding specialist knowledge can correctly interpret what he has seen, Linke looks for local companions, whose knowledge and experience accompany him, much like Virgil through Dante’s underworld. He chooses this comparison in the same interview to emphasize the importance of insider knowledge, which is necessary in order to be able to discover, unimpressed by the surface, what is hidden behind it. In doing so, it might turn out that the projects lead him to already existing image archives. In the case of deep-sea mining in international waters, which should be regulated by the International Seabed Authority Organisation (ISA) of the United Nations in Jamaica, it was video recordings of underwater drones that he evaluated with the help of experts. 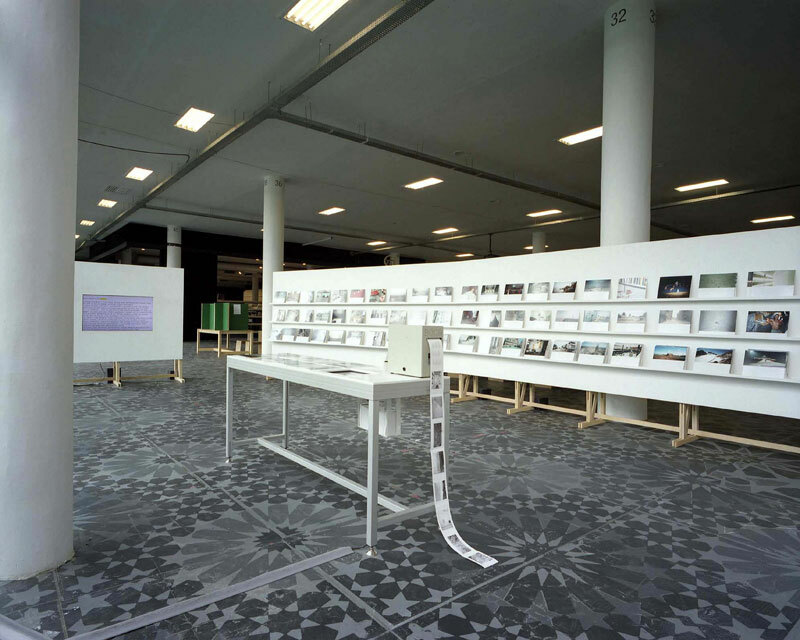 In 2013, together with the humanities scholars Doreen Mende and Estelle Blaschke, he examined an industrial archive of the former GDR to see how design history, economics, and state diplomacy interacted. 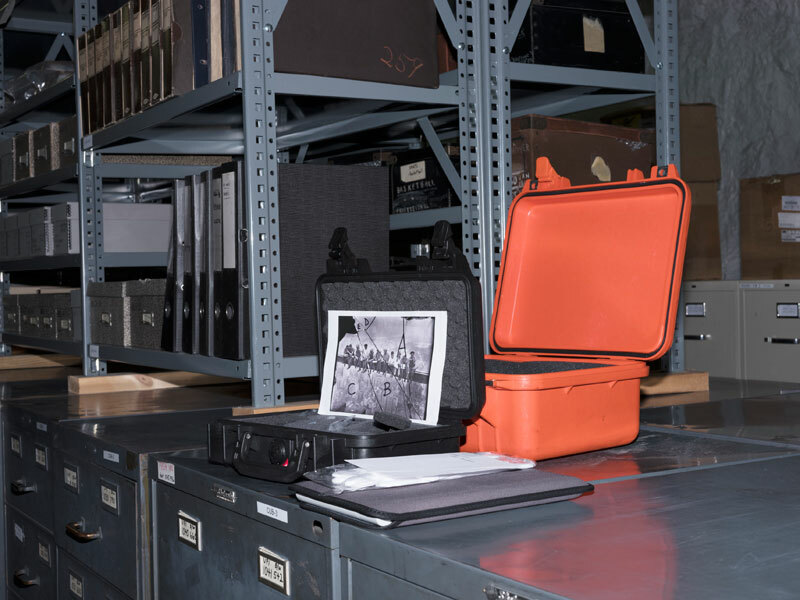 They evaluated the photographic documents with the help of interviews with contemporary witnesses. By this time, an archive of 500,000 photographs had grown out of his own twenty-year photo-documentary work – an abundance that paradoxically leads to a shrinking reception of the photographs since it is virtually impossible for a single individual to grasp them. 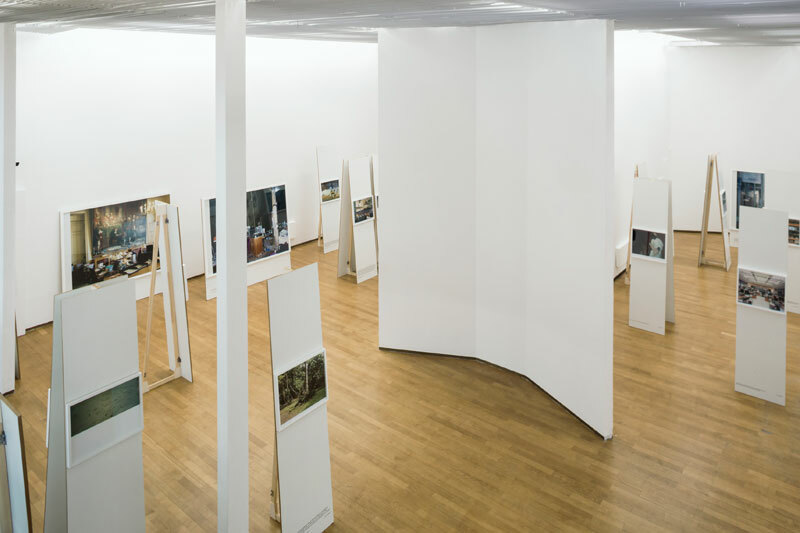 In order to reactivate the archive and lift images that would have fallen out of his selection, Linke subjected it to a long-term experiment. 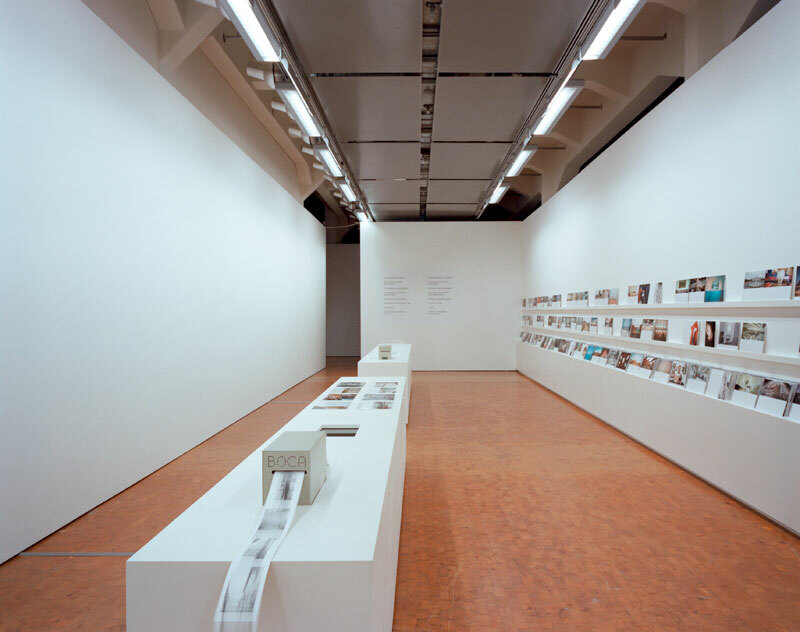 This began with the Utopia Station at the Venice Biennale in 2003 and was then continued on the Internet. Visitors were given the opportunity to select eight of the 6,000 photographs from the archive and print them out as a book. In this way, the digital copies of his analogue photographs were returned to a tangible form. 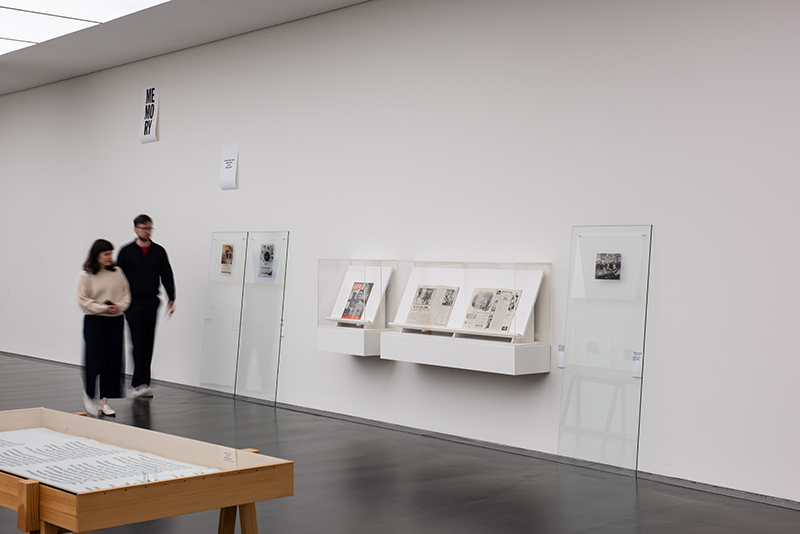 In addition to the underlying idea of delegating the artistic-curatorial decision to the visitors, the project received a further special quality as a long-term study. With their selection, each individual had left a footprint, which, together with the other approximately 10,000 participants, provided information about the criteria on which their selection was based. The experiment had become an ideal basis for the TAGora research project, which was intended to analyze how groups are formed on the Internet that then become visible on Flickr, for example, through “tags” or keywords. The scientist Peter Hanappe collaborated with Armin Linke to investigate the selection criteria. The results were included in the final publication “Phenotypes/Limited Forms” (2018), which also documented the exhibition series of the same name. All participants were presumably convinced of the individuality and uniqueness of their selection. The computer evaluation revealed, however, not only how often or rarely individual motifs had been chosen, it also showed which patterns the users had in common with other participants. The sequence and title probability, color similarity, and image groups were categories used to analyze voting behavior. From such unconsciously chosen criteria of individuals, probabilities can be calculated that make future decisions of groups predictable – a calculation model named after the Russian mathematician A. A. Markov and the basis for the evaluation of user behavior on the Internet, with all the economic and political implications currently discussed in the context of social media. 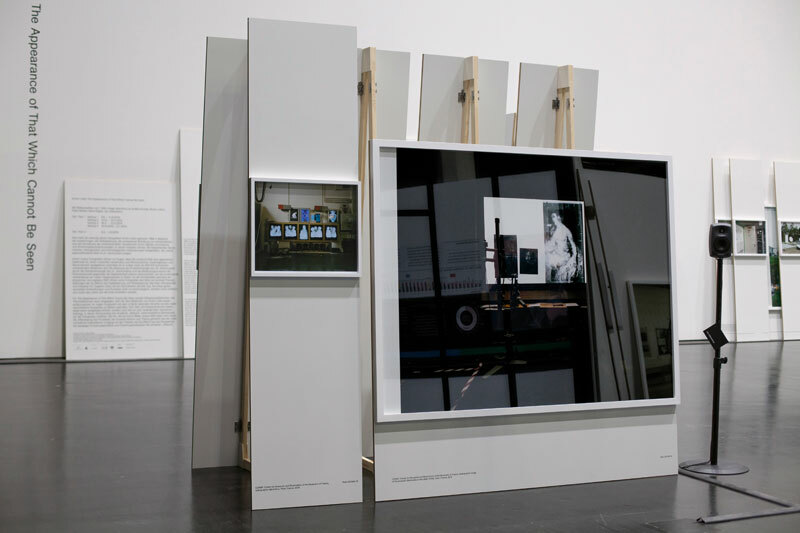 In another project – “The Appearance of That Which Cannot Be Seen” (2015/17) – Linke took the opposite path. He once again delegated the selection from his archive to other people, this time to the scientists Ariella Azoulay, Bruno Latour, Peter Weibel, Mark Wigley, and Jan Zalasiewicz. Here, the aim was not to infer formal selection criteria from patterns of selected groups of images, but rather to convey how photographs can be read in different ways, depending on the systems of thought that have been developed over many years of scientific work through the respective interest in knowledge. 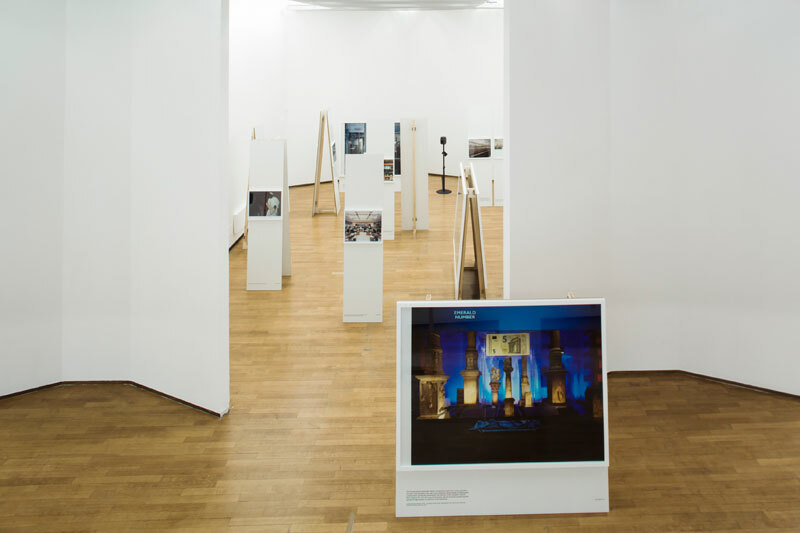 For example: The photograph of the football stadium in Warsaw, where the 19th UN Climate Change Conference took place in 2013, was interpreted differently by Jan Zalasiewicz, Bruno Latour, and Ariella Azoulay. For this photograph, Linke chose a perspective which, at first glance, focuses solely on the numerous empty seats of the spectator stands. A banner with the logo of the UN climate conference almost disappears in the background. In the foreground, on the left side of the image, a tent with ventilation hoses, which was pitched on the football field for the conference, has been cut off. Zalasiewicz interpreted the temporary, air-conditioned structure in the stadium as a metaphor for the UN conference’s desire to cool the entire world. At the same time, he saw the football stadium as an example of an artificially created technosphere for the entertainment of a few in comparison with the people who are existentially threatened by global warming. Latour was struck by the discrepancy between the small tent and the missing crowd that the stadium could accommodate. In contrast, Azoulay took a critical look at the UN, in which international demands and national interests conflict. 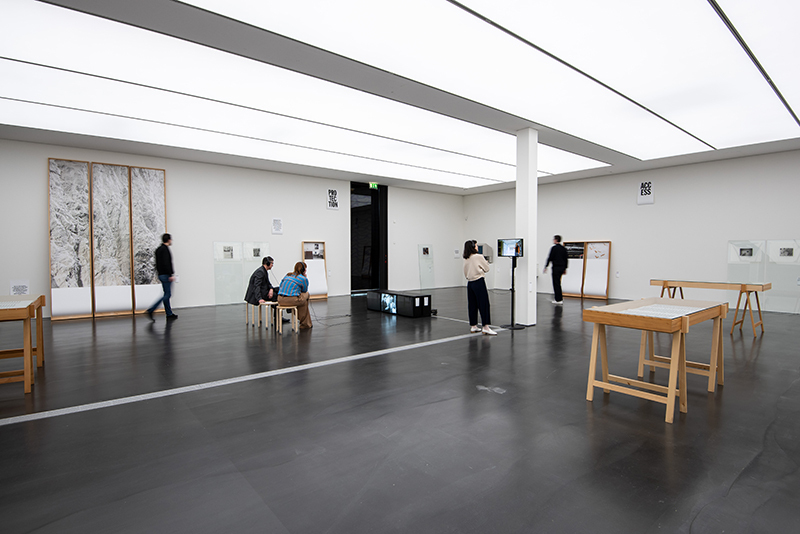 In the exhibition at the ZKM | Center for Art and Media Karlsruhe, one could hear the comments of the scientists in the exhibition space. 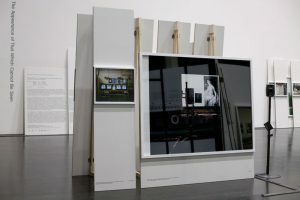 The framed photographs were each mounted on a wall prop, complemented by Linke’s own commentary and background knowledge on the photographs. The images and accompanying texts mutually elucidate each other. 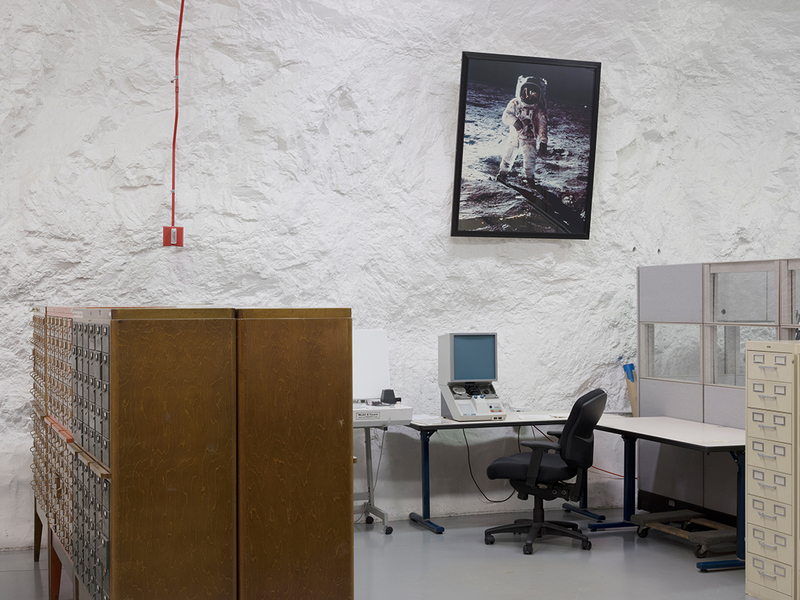 Linke remains loyal to his documentary work as a photographer. 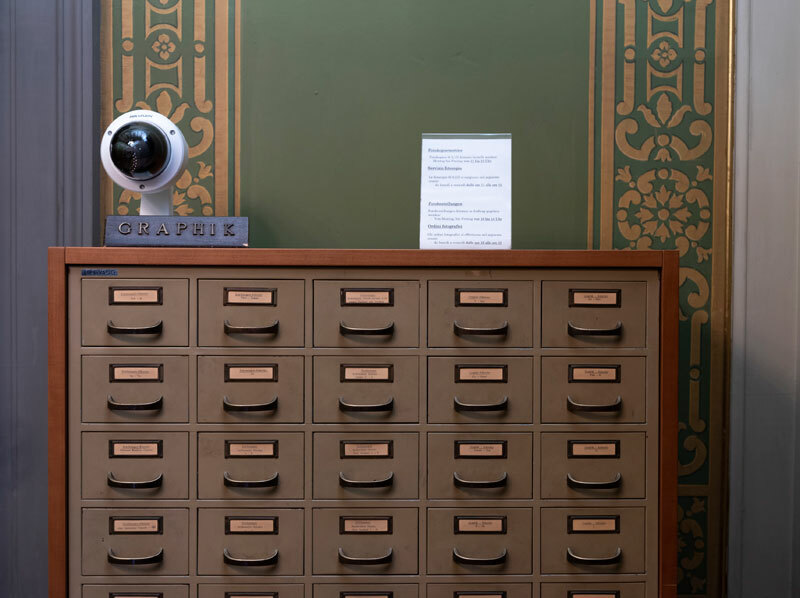 In addition to this, there are also collaborations which give him the opportunity to question the medial or institutional framing on the Internet or in archives as to how they grant or deny access to images. In archives, it is the catchwords that allow motifs to be found, but also regulate the context in which they appear. In contrast, on the Internet the images are not ordered by a knowledge system, but rather by the users and their search queries. 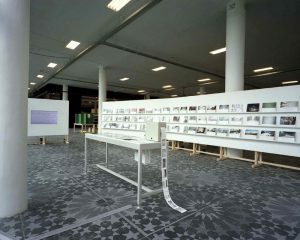 The static marking of the archive has thus given way to a dynamic one, since the results of comparable search queries on the Internet run in the background. The photo historian Blaschke dealt with this phenomenon in her research project on the photo and image agency founded by Otto Bettmann in 1936, which joined the photo archive and distribution company “Corbis” in 1995 and has been part of the Visual China Group since 2016. 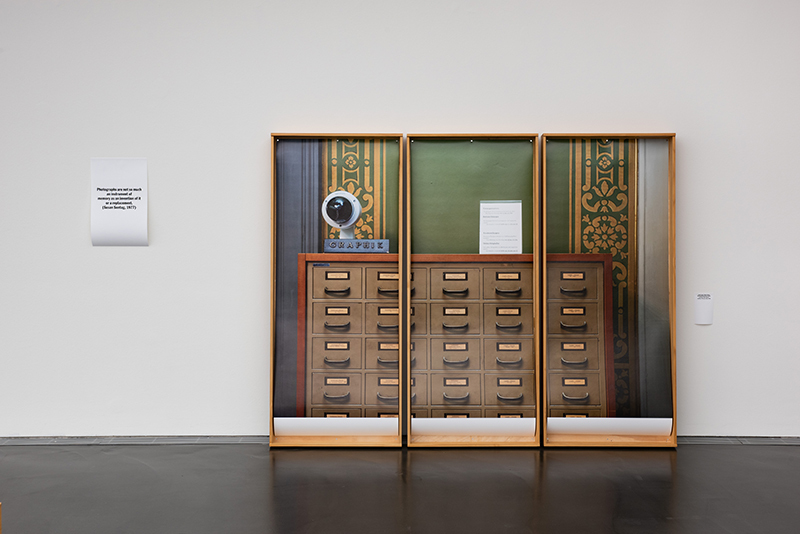 Her scientific investigation now forms the starting point for a new project that Linke began with her under the title “Image Capital“. One can be sure that, as part of this collaboration, he will create new iconic photographs that visually condense the complexity of the investigation.